Malaysia will have to figure out a substantial and safe way to dispose of nuclear waste if the country were to opt for nuclear energy to generate electricity. Association of Water and Energy Research Malaysia president S Piarapakaran, who supports Prime Minister (PM) Tun Dr Mahathir Mohamad’s decision to not rely on nuclear energy for the country’s power generation, said the biggest issue would be the containment of energy from leaking. The government would also have to determine the cost that would be incurred, apart from finding methods to manage such a project successfully. “A worst-case scenario we’re looking at is leakage in a case of nuclear exposure that could cause various types of cancer to develop rapidly ending in death, or a more severe and long-term outcome, which is severe genetic inflammation that causes mutation,” he told The Malaysian Reserve (TMR) in a telephone inter- view yesterday. Piarapakaran said mutation as a result of nuclear radiation is also a serious issue as it could last for generations. “In some cases, babies are born with organs outside of their bodies. They are sick all their lives and cannot develop normally,” Piarapakaran said, adding that the cost of management will only increase over the years. “Waste management is becoming more expensive and we won’t know the exact cost 30 or 40 years from now,” he said. Malaysia questions why only North Korea, Iran must denuclearise. Why not America, China, Russia, India, Pakistan? A factory processing radioactive materials in Perak gave the people living nearby leukemia. 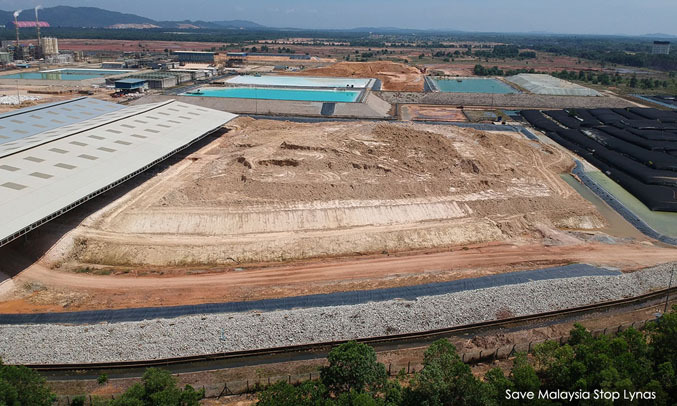 Bukit Merah’s rare earth metal processing site cleanup had been the largest radiation cleanup so far in the world’s rare earth industry. Dr. Yoshihiko Wada’s report revealed that Mitsubishi Chemical came up with ARE in Bukit Merah after being one of the main companies that caused severe asthma in Nagoya, Japan. Also, 100% of the rare earth products processed in Bukit Merah were exported back to Japan, so it’s not like we gained anything but money from the venture, which puts forth the question of whether it’s worth endangering the lives of local residents for rare earth metals. Earlier this year, Lynas Corporation had been popping up in the news again. For those of who have no idea who or what Lynas is, a few years back there had been a hullabaloo when Lynas set up a rare-earth processing plant in Gebeng, Kuantan, called the Lynas Advanced Materials Plant (LAMP). But what’s the big deal with that? The militants had hoped to transform low-grade radioactive Thorium 232 (Th-232) into deadly Uranium 233 (U-233). When combined with powerful home-made explosive triacetone triperoxide (TATP), the concoction can create a “nuclear bomb”, according to an instruction manual used by the militants and reviewed by Reuters. IS supporters in Malaysia may build bombs with radioactive materials, Today online 02 JANUARY, 2018, KUALA LUMPUR — Fears are growing that fighters from the Islamic State (IS) group, including their sympathisers in Malaysia, may attempt to build bombs using radioactive materials. This concern is especially real as the Malaysian police have recorded no less than 20 cases involving radioactive and nuclear materials which have “gone missing” over recent years.While some may have been retrieved, the whereabouts of many others remain unknown. Perturbed by the combination of “missing radioactive goods and IS”, sources in security agencies said it was crucial for the counter-terrorism division to aggressively trace the missing radioactive materials.Normally, these cases will be investigated by the police’s Criminal Investigation Department. However, it should not be treated as a usual case of theft,” the sources said. The sources also warned that terrorists might make use of radioactive and nuclear materials which had not been categorised as “controlled items”. Concerns about security threats in South-east Asia intensified when Indonesian security forces recently foiled an attempt by militants to detonate a dirty bomb.A dirty bomb is a conventional bomb that contains radioactive material. The plot was foiled when police raided homes and arrested five suspects in Bandung, West Java in August last year. After the raids, police spoke of a plan to explode a “chemical” bomb but provided no other details. Malaysia has been on high alert since gunmen linked to the IS launched multiple attacks in Jakarta in January 2016 and has arrested hundreds of people over the past few years for suspected links to militant groups, and has arrested hundreds of people over the past few years for suspected links to militant groups. Malaysia’s Atomic Energy Licensing Board (AELB) director-general Hamrah Mohd Ali cautioned the authorities against underestimating terrorists’ knowledge and capabilities in utilising radioactive and nuclear materials to produce dirty bombs. No Inspections At Construction Sites Without Strong Proof Of Radioactive Readings: Mosti, Malaysian Digest, 02 January 2018 , KUALA LUMPUR: Inspections at construction sites will not be carried out until there is strong proof of elevated readings on radioactivity content in building materials……..
Nuclear and radiation experts yesterday had cautioned the public over potential hazards posed by naturally-occurring radioactive elements in construction materials. Commonly found in materials naturally sourced from earth, uranium and thorium are Naturally Occurring Radioactive Materials (NORM) often found in bricks, cement blocks, granite, marble or glazed tiles used in the construction of homes. 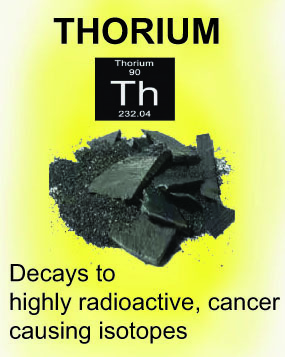 The two elements (uranium and thorium) undergo a natural decaying process to form other harmful elements and emit several types of radiation, particularly alpha, beta or gamma rays. Atomic Energy Licensing Board (AELB) director-general Hamrah Mohd Ali previously said a statement that excessive exposure to these rays could damage human tissue and cells, and cause health issues or death. BY JORDEENE SHEEX LAGARE ON SEPTEMBER 2, 2017 BAGAC, BATAAN: Social acceptance is the biggest hurdle in coming up with a national position on the nuclear power program, according to an Energy official. Energy Undersecretary Donato Marcos said a wide public acceptance regarding the use of nuclear energy would make it easier for the executive and legislative departments to make a decision regarding the mothballed Bataan Nuclear Power Plant (BNPP). A national position is one of the 19 requirements prescribed by the International Atomic Energy Agency (IAEA) for the Development of a National Infrastructure for Nuclear Power. A pre-feasibility study on rehabilitating the BNPP is also vital to crafting a national position on the 620-megawatt (MW) facility in this province, Marcos said. He told reporters on Wednesday that six countries were interested in conducting due diligence on the nuclear power facility, including China, Korea, Japan, France, and the United States. Malaysia not in a hurry on nuclear power, to raise awareness first — Nancy, Borneo Post, May 1, 2017 KUALA LUMPUR: Malaysia will remain focused on the information and communication programme relating to nuclear power generation for the time being, and not in hurry to make any decision to introduce nuclear energy into its energy mix. Minister in the Prime Minister’s Department Datuk Seri Nancy Shukri said emphasis needed to be given on nuclear power education first. “Not necessarily we accept it straight away. I don’t want to commit by saying that we will look into this immediately but it is important to train and educate our people about nuclear (first). “We have a lot of fear. We are not equipping ourselves with the correct information,” she told Bernama in Shanghai after a four-day working visit to China’s nuclear power facilities recently. Nuclear power is a complex and sensitive issue that requires deep understanding. It also needs a long-term commitment, taking a long time to materialise, while its programme requires a long lead time in order to cultivate a critical mass of domestic talent capable of supporting any future initiatives……..
During their working visit to China recently, the Malaysian delegation not only studied safe and sustainable nuclear power technology and infrastructure, but also its implementation, especially on ways to achieve public understanding and acceptance. The visit, which was led by Nancy, was at the invitation of the Chinese Nuclear Society, a non-profit organisation dedicated to nuclear science, technology and engineering……. The delegation was made up of stakeholders and representatives from government agencies such as the Malaysia Nuclear Power Corporation, Energy Commission, Agensi Inovasi Malaysia, Economic Planning Unit and Malaysian Nuclear Agency, as well as academicians, and Tenaga Nasional Bhd senior executives. former Rosatom head Sergey Kirienko’s team has been excellent at drawing up and signing nonbinding nuclear agreements … Actually building nuclear plants seems to be beyond them. Vietnam’s amazing nuclear journey – why it ended, what it means for South East Asia, Energy Post, November 29, 2016 by Jim Green On November 10, Vietnam took the historic decision to scrap its nuclear power program, after many decades of nuclear preparations, up to a ground-breaking ceremony at the first proposed nuclear site in the country in 2014. Jim Green, editor of Nuclear Monitor, published by WISE (World Information Service on Energy), tells the amazing story of nuclear power in Vietnam – and discusses what the Vietnamese decision means for the prospects of nuclear power in South East Asia. Courtesy of Nuclear Monitor. Let’s first imagine how this story might have unfolded, if the nuclear industry had its way. Construction would be underway on Vietnam’s first nuclear power plant, and plans would be in train to build a total of 14 reactors by 2030. Russia would be building Vietnam’s first reactor, giving it a foothold in south-east Asia (where it has nuclear cooperation agreements with seven countries). Japan and South Korea would also be gearing up to build reactors in Vietnam, a fillip for their troubled domestic nuclear industries and their ambitions to become major nuclear exporters. US nuclear vendors would also be heavily involved, salivating at the US Department of Commerce’s estimate of US$50 billion (€47.4 bn) of contracts for nuclear plants in Vietnam by 2030. It hasn’t unfolded like that. On November 22, Vietnam’s National Assembly voted in support of a government decision to cancel plans to build nuclear power plants. An immense amount of resources have been wasted on the nuclear program over several decades. Nuclear vendor countries will have to look elsewhere for business. They will continue to try their luck in southeast Asia but they are wasting their time: not a single power reactor is in operation or being built in the region and none will be built in the foreseeable future. On November 10, Duong Quang Thanh, CEO of staterun Electricity of Vietnam, said the government would propose the cancellation of plans for reactors at the two Ninh Thuan sites to the National Assembly. He added that nuclear power was not included (or budgeted for) in the power plan which runs until 2030 and had already been approved by Prime Minister Nguyen Xuan Phuc. Le Hong Tinh, vice-chair of the National Assembly Committee for Science, Technology and Environment, said the estimated cost of four reactors at the two sites in Ninh Thuan province had nearly doubled to VND400 trillion (US$18 bn; €17.9 bn). The estimated price of nuclear-generated electricity had increased from 4‒4.5 US cents / kwh to 8 cents / kwh. Vietnam has spent millions of dollars on the project so far, Tinh said, but continuing the program would add more pressure to the already high public debt. Another media report states that Japanese and Russian consultants said that the cost has escalated from the original estimate of US$10 billion to US$27 billion (€9.5‒25.6 bn). “The plants will have to sell power at around 8.65 cents a kWh, which is almost twice the rate approved in the project license and is not competitive at all,” according to the VN Express newspaper. A May 2016 report by WWF-Vietnam and Vietnam Sustainable Energy Alliance (VSEA) finds that 100% of Vietnam’s power can be generated by renewable energy technologies by 2050. There are many available renewable power sources in Vietnam including solar, wind, geothermal heat, biomass and ocean energy. The report contrasts three scenarios: business as usual (with only modest growth of renewables), a Sustainable Energy Scenario (81% renewable power generation by 2050) and an Advanced Sustainable Energy Scenario (100%). A 2015 International Energy Agency report anticipates that nuclear power will account for just 1% of electricity generation in south-east Asia by 2040. Nikolay Drozdov, director of Rosatom’s international business department, said Rosatom is focusing a lot of attention on south-east Asia, reflected by the decision to establish a regional headquarters in Singapore. Russia has nuclear cooperation agreements with seven countries in south-east Asia ‒ Vietnam, Indonesia, Malaysia, Thailand, Cambodia, Myanmar and Laos. But not one of those seven countries ‒ or any other country in south-east Asia ‒ has nuclear power plants (the only exception is the Bataan reactor in the Philippines, built but never operated) and not one is likely to in the foreseeable future. Nor are other nuclear vendors likely to succeed where Russia is failing. Drozdov said that after the (stalled) nuclear power project in Vietnam, Indonesia and Malaysia would likely be the next countries in the region to develop nuclear power.2 But Indonesia’s situation is much the same as Vietnam’s ‒ decades of wasted efforts with little to show for it (and the same could be said about Thailand). Malaysia’s consideration of nuclear power is preliminary. Why would Russia be making such efforts in southeast Asia given that nuclear power prospects in the region are so dim? The answer may lie with domestic Russian politics. Given Rosatom’s astonishing industry in lining up non-binding nuclear agreements with over 20 countries ‒ ‘paper power plants’ as Vladimir Slivyak calls them ‒ we can only assume that such agreements are looked on favorably by the Russian government. Hitachi-GE to launch nuclear energy course in Malaysia, WNN 04 August 2016 Japan’s Hitachi-GE Nuclear Energy has renewed an agreement with two Malaysian universities under which it will conduct a new international human resources development program to train workers for the nuclear power industry. Hitachi-GE announced today that it has renewed an agreement with the National University of Malaysia (UKM) and the Universiti Tenaga Nasional (Uniten), a private university operated by Malaysia’s largest power company, Tenaga Nasional Berhad. KUALA LUMPUR, Malaysia—An audit of a key energy group sold by troubled state investment fund 1Malaysia Development Bhd. to a Chinese state-owned nuclear-power company flagged deep uncertainty over the company’s viability. Government prepares Act to pave way for nuclear programme http://www.theedgemarkets.com/my/article/government-prepares-act-pave-way-nuclear-programme By Ben Shane Lim / theedgemarkets.com | November 5, 2015 KUALA LUMPUR : The government is preparing to table a new Nuclear Energy Act that will pave the way for the country to adopt nuclear power into the energy mix by 2028. The Act could be tabled in Parliament by next year, said Energy, Green Technology and Water Minister Datuk Seri Maximus Ongkili. However, Ongkili stressed that planning for nuclear power is still at a very early stage and not high on the ministry’s list of priorities. “The original plan was to have nuclear make up 10% of generation capacity. This would diversify our energy sources. But since the unfortunate incident at Fukushima, [Japan], we are taking more time to study it,” Ongkili told reporters on the sidelines of the Fifth Korea-Malaysia Energy Cooperation Workshop here today. The low commodity prices have also reduced the incentive to develop the nuclear programme swiftly. Not only are oil and gas prices low, coal is also at record low prices, noted Ongkili. According to the 2014 Energy Sector Outlook report by the Energy Commission, there are plans to introduce nuclear power to the national grid by 2024. Ongkili said however, that deadline has since moved to 2028, noting that 13 years are plenty of time to study and develop a nuclear programme. Normally, it takes 10 years to develop a nuclear power plant. “Dealing with the nuclear waste is one of the main issues we need to think about,” he added.For now, the government will place more focus on the renewable energy sector, which is targeted to make up 23% of generation capacity by 2020, said the minister. Apart from the Nuclear Energy Act, Ongkili said the government plans to set up the institutional infrastructure necessary for the nuclear programme. Environmental and safety issues aside, getting public support for a nuclear programme might be a challenge going forward, especially if it is more expensive than conventional power sources. After all, with the removal of electricity subsidies and the introduction of the fuel cost pass-through mechanism, consumers will bear the full brunt of higher generation costs. Also not helping the case for nuclear power is the fact that Malaysia is able to produce its own natural gas. Russia offers nuclear expertise to Malaysia Star.com. 25 Sept 15 KUALA LUMPUR: Russia will extend its expertise if Malaysia decides to develop its own nuclear programme. Russian Minister of Economic Development Alexei Ulyukayev, who said this, added that his country was well-placed to build and support a national nuclear industry.